Kristen Chuba is originally from New Ulm, MN. She received her Master’s degree in Physician Assistant Studies from Des Moines University in Des Moines, IA and her Bachelor of Science degree in Exercise Science from Minnesota State University-Mankato in Mankato, MN. Kristen is certified by the National Commission on Certification of Physician Assistants. She is also certified in basic surgical skills/aseptic technique and basic life support (BLS/CPR). Kristen has worked in both family medicine and urgent care settings. She is available to perform complete history and physical examinations for patients who are scheduled for surgery at Minnesota Eye Consultants. 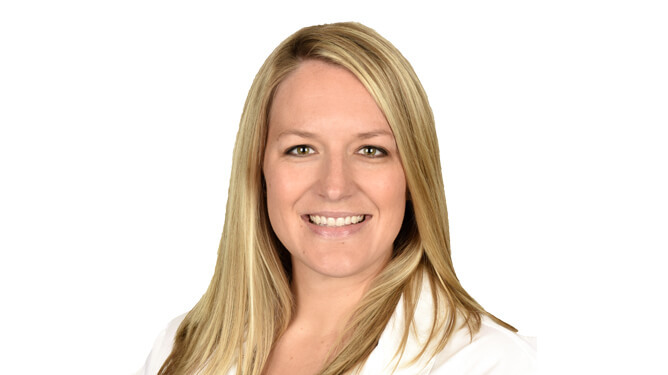 Kristen’s professional affiliations include the Minnesota Academy of Physician Assistants and the American Academy of Physician Assistants. During her free time, Kristen enjoys spending time with friends and family, going to the cabin, reading and watching movies.